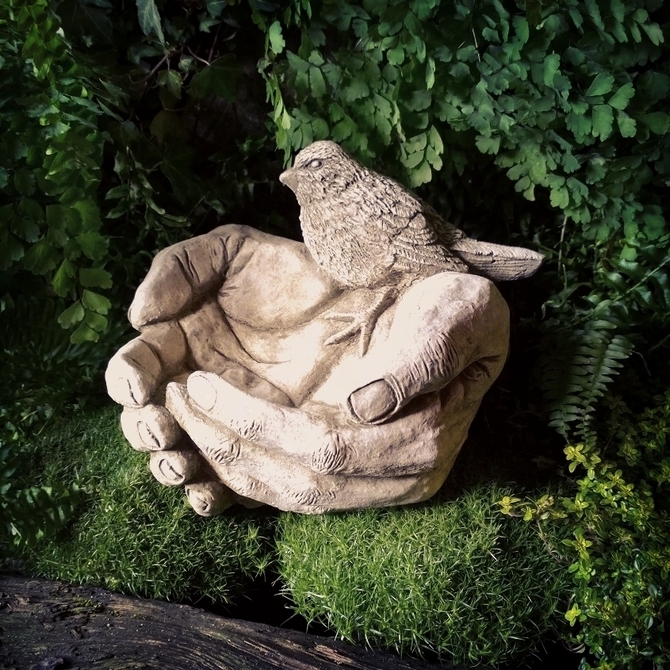 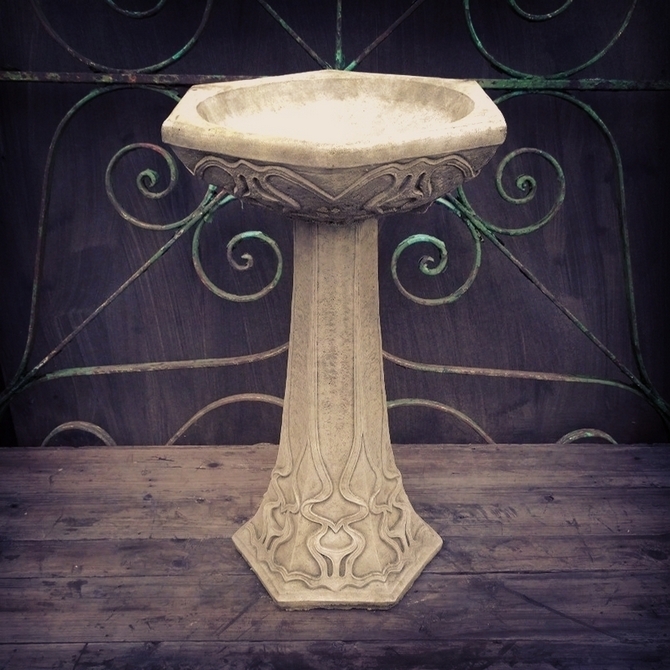 Birdbaths have featured in British gardens since the early Victorian period and gained great popularity in the early part of the 20th Century. 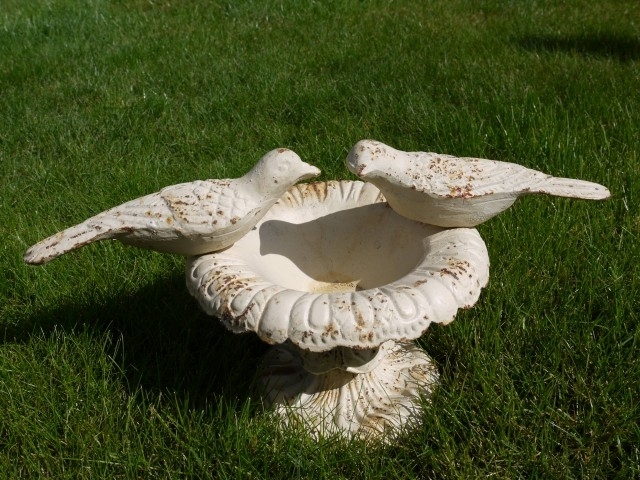 The British love their birds, and a birdbath in the garden provides a welcome chance of a dip or a drink for small birds. 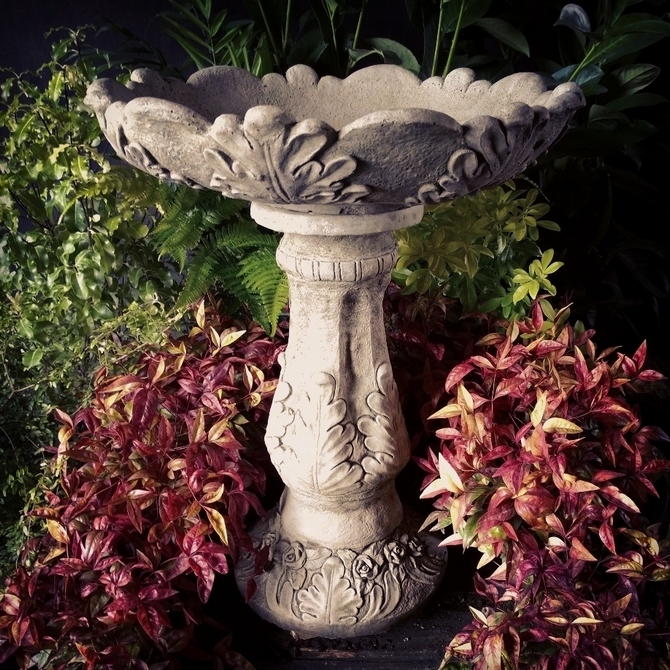 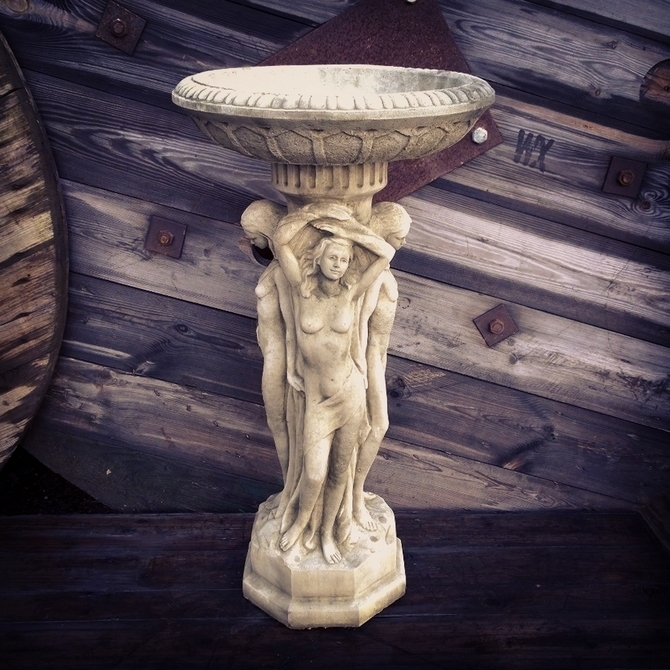 Antique birdbaths can be found in many different styles and materials. 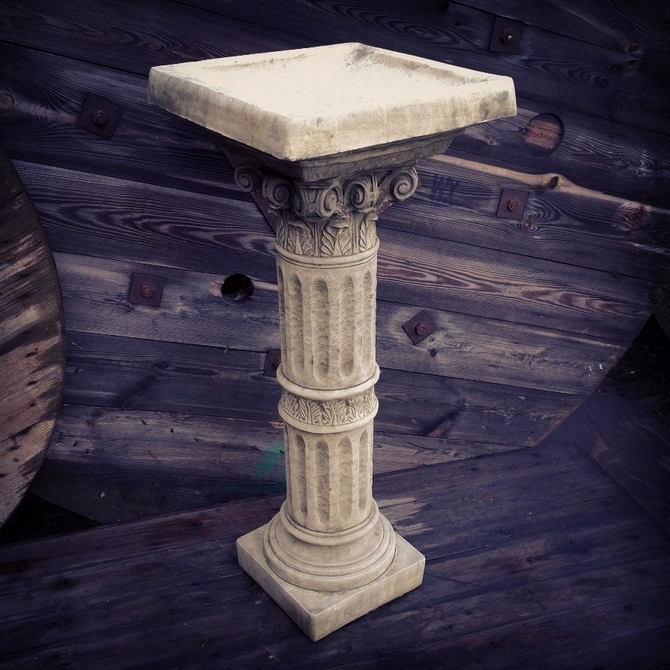 Stone and composition stone is the most common material, but lead and cast iron birdbaths are also found. 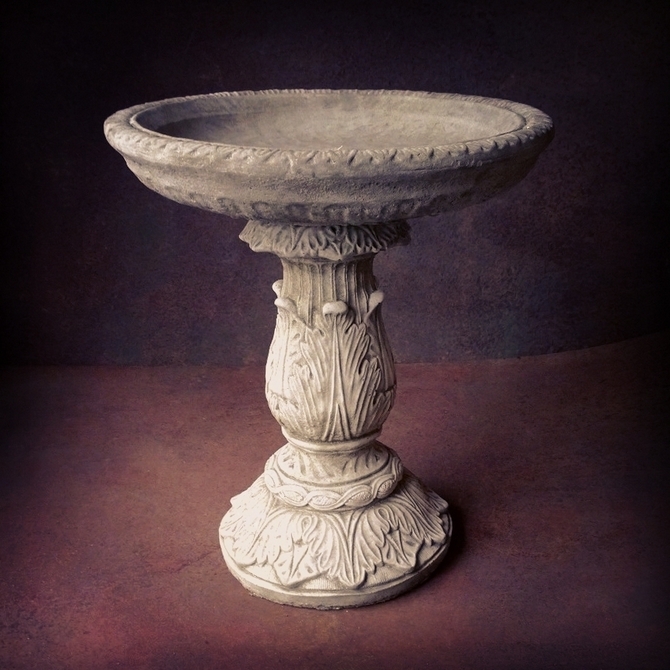 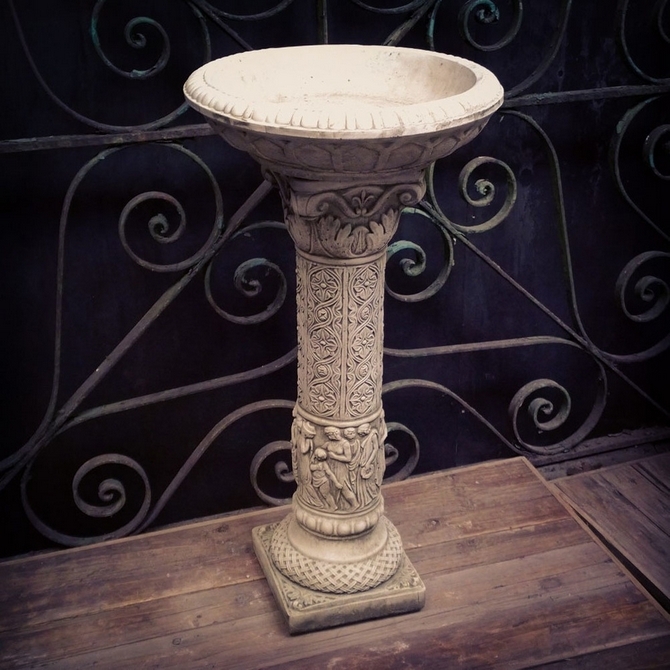 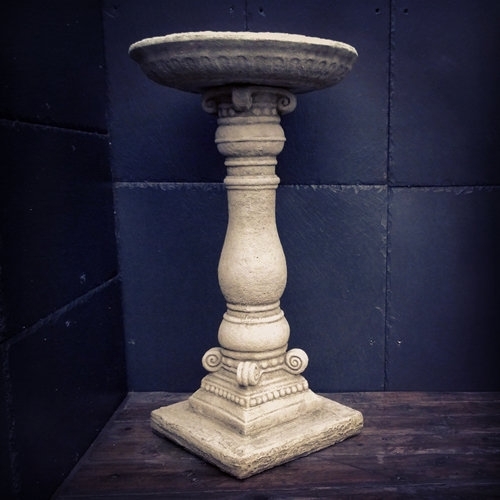 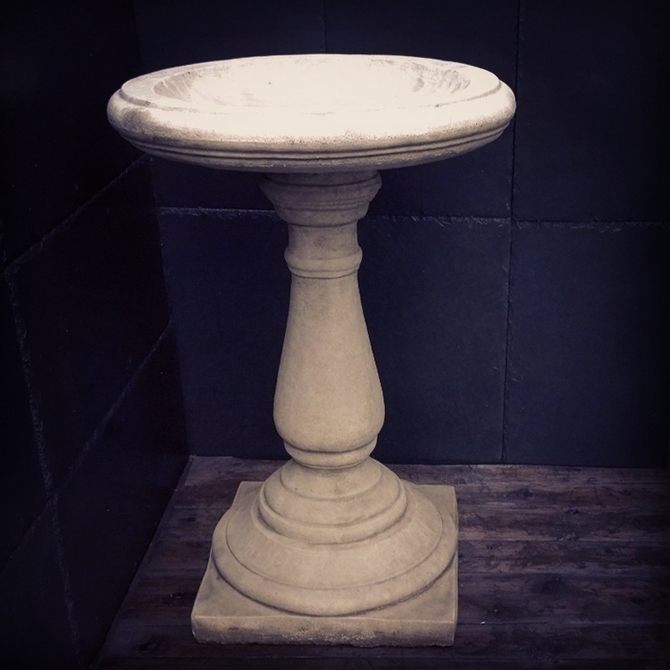 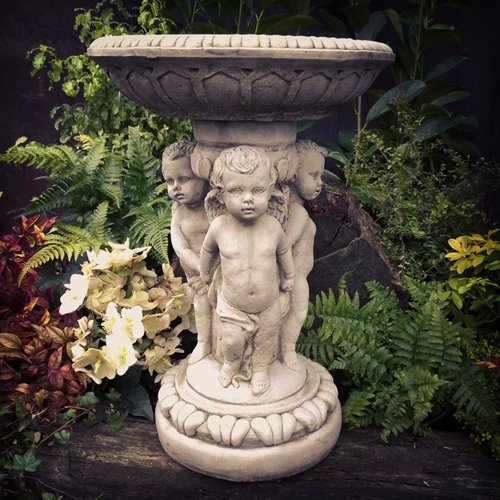 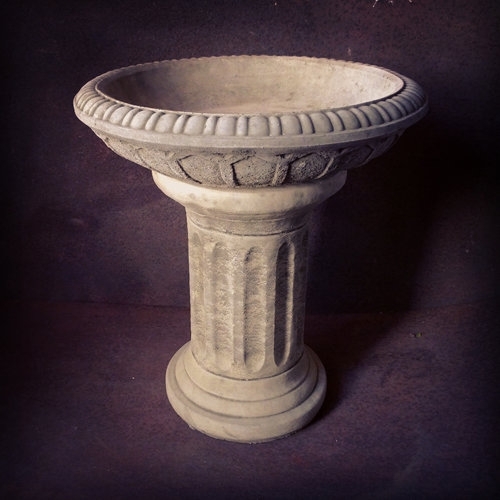 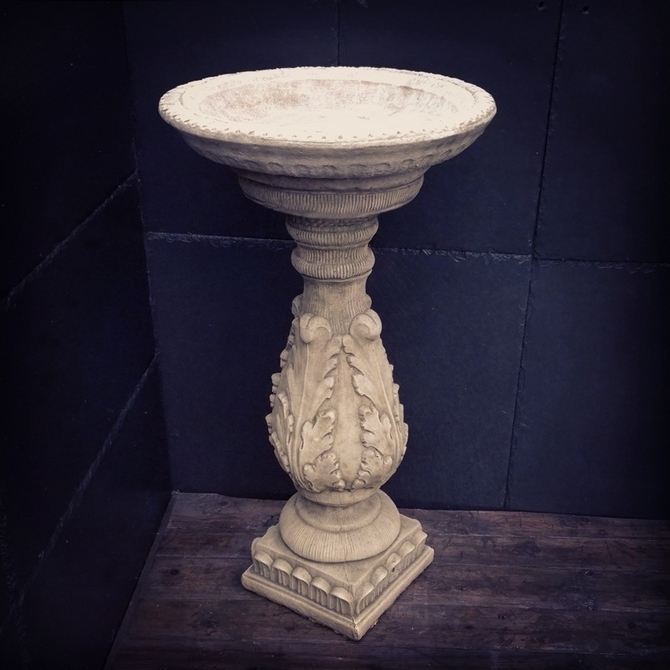 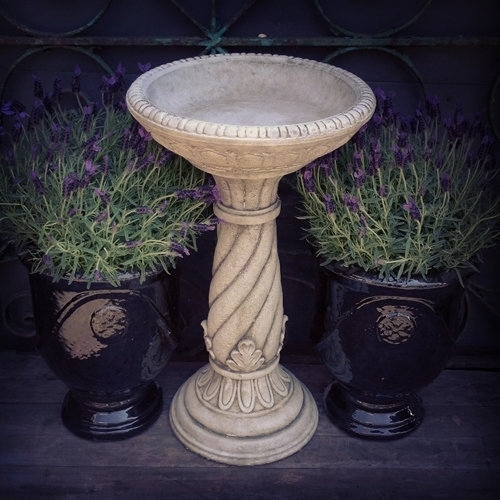 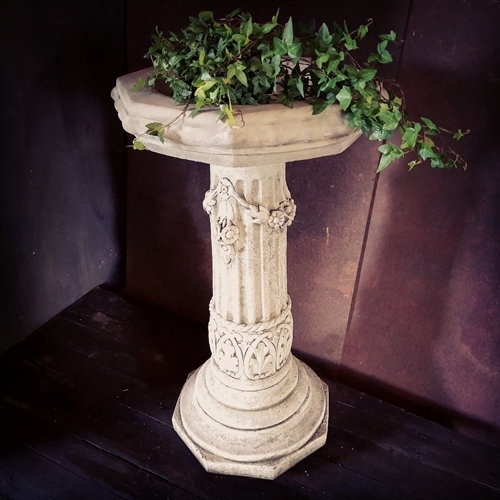 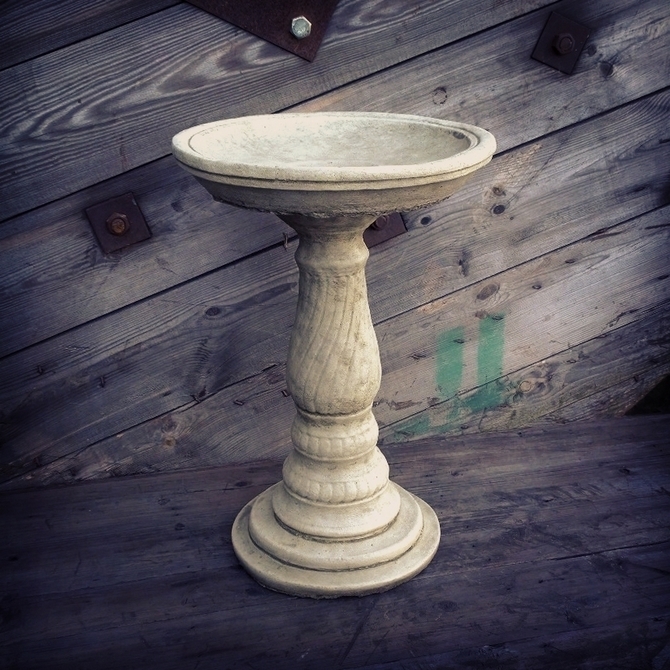 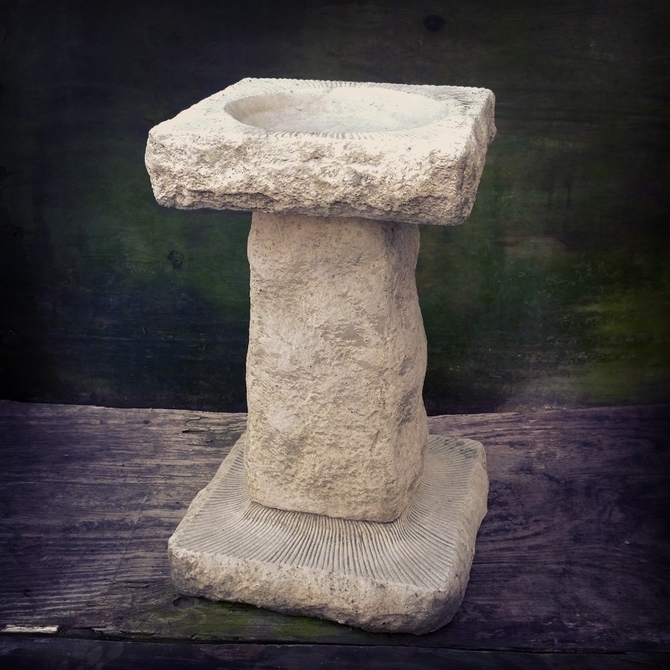 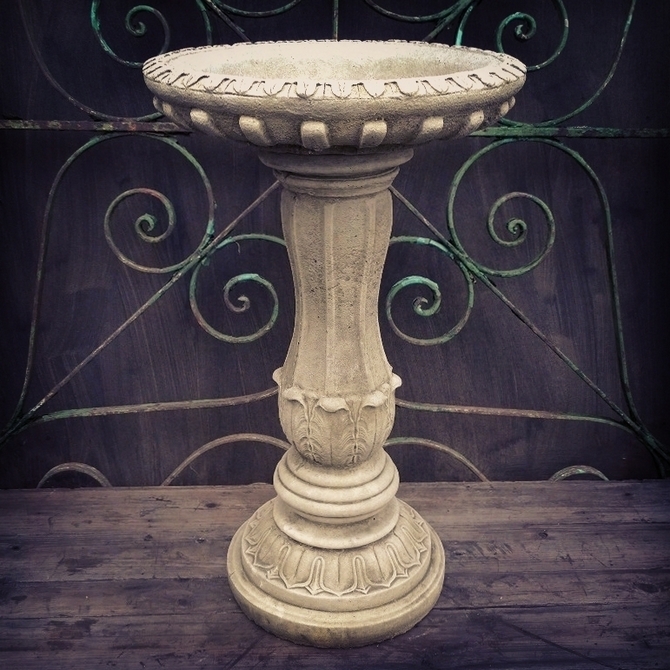 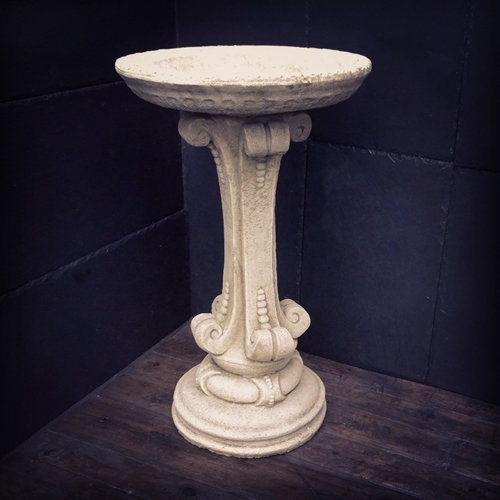 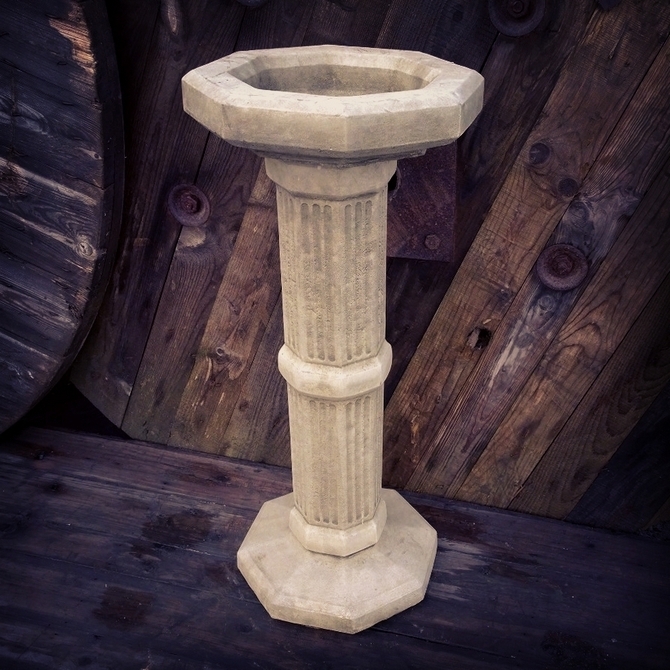 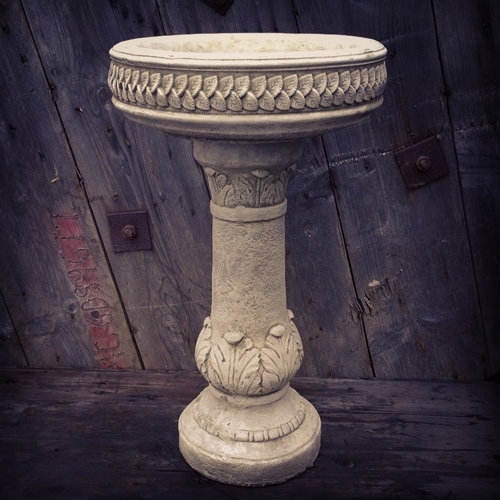 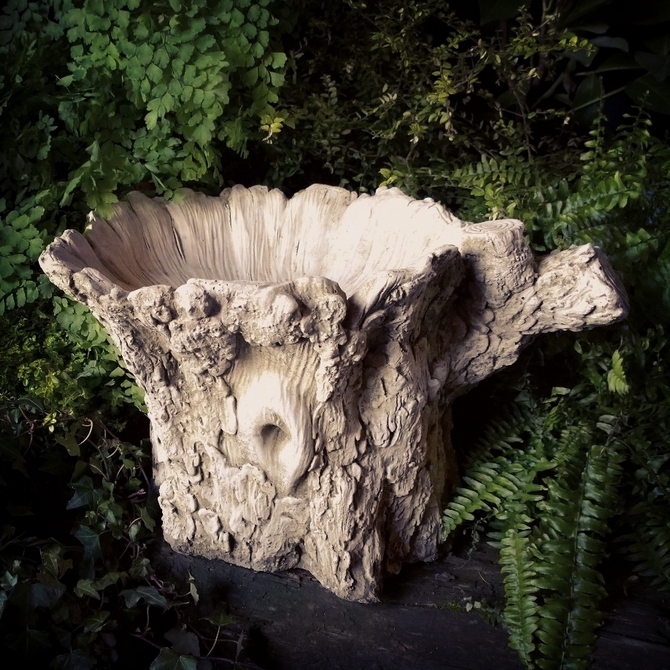 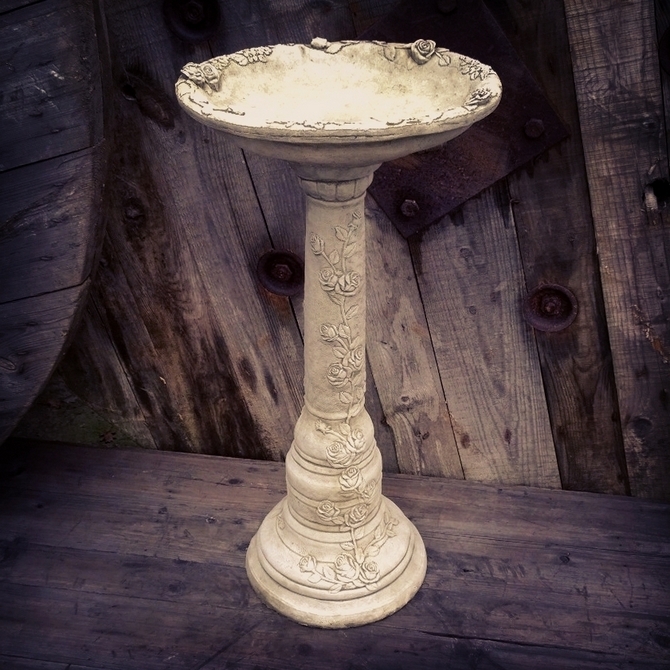 A simple Edwardian birdbath may comprise of a square base, a rectangular stone column and a simple bowl, but more elaborate versions may include a shell shape for the bowl, which is held aloft by a classical putto or cherub.